Erin E. Field, M.B.A., is the Founder and President of Field Educational Consulting, LLC and has worked most of her career with students in a variety of settings. Erin has had to navigate both undergraduate and graduate admissions processes, as well as post-secondary experiences with accessibility in mind. 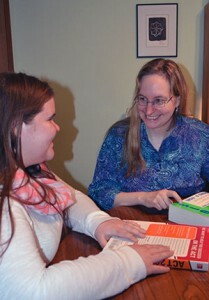 Through her experience with assistive technology, accommodations, accessibility, and one-on-one counseling, she has successfully guided other students through their post-secondary search, applications, and studies. Erin is an Associate Member of the Independent Educational Consultants Association; she is also a member of the following organizations: Association for College Admission Counseling (both Illinois and Iowa chapters), Association on Higher Education and Disability (both national and ILLOWA chapters), and the Learning Disability Association of America. She has a B.A. from Lawrence University in Biology and Biomedical Ethics, a M.B.A. from Roosevelt University in Health Services Management, a Graduate Certificate from St. Ambrose University in Post-Secondary Disability Services, and a Graduate Certificate from University of California-Irvine in Independent Educational Consulting. Eric R. Field, M.Ed., has over 14 years of experience as a Debate, Drama, English, High School Equivalency, and Speech teacher and is licensed as a homeschool supervising teacher in Iowa. Eric is a member of the International Literacy Association, Iowa Forensic League, National Association of School Psychologists, National Council of Teachers of English, National Speech and Debate Association, and Nebraska Association for the Gifted. He has also been a special needs reader for the ACT. He received his B.A. in Drama and English Literature from Washington University in St. Louis, his M.Ed. in Secondary Education from DePaul University, and a Graduate Certificate in Communication Education from Minnesota State University – Mankato. 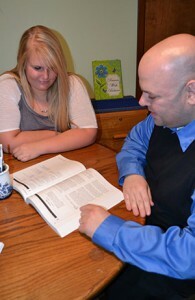 Eric will begin his Educational Specialist degree in School Psychology this fall.